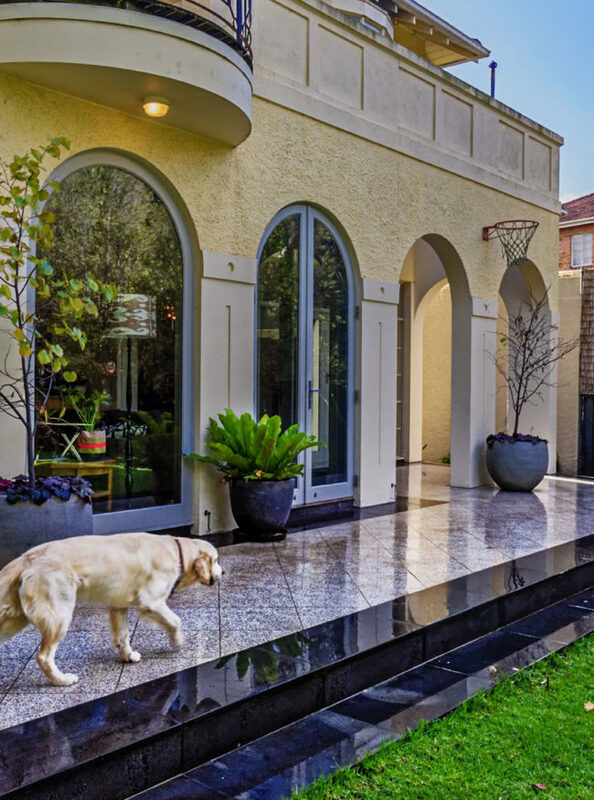 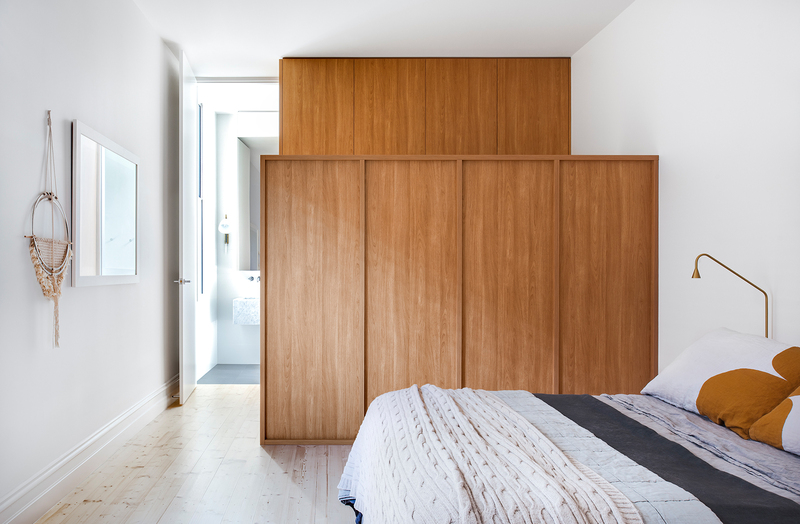 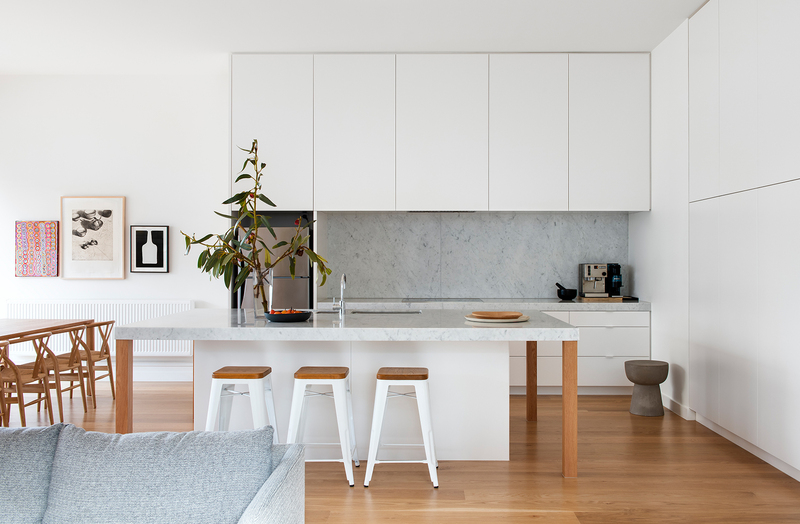 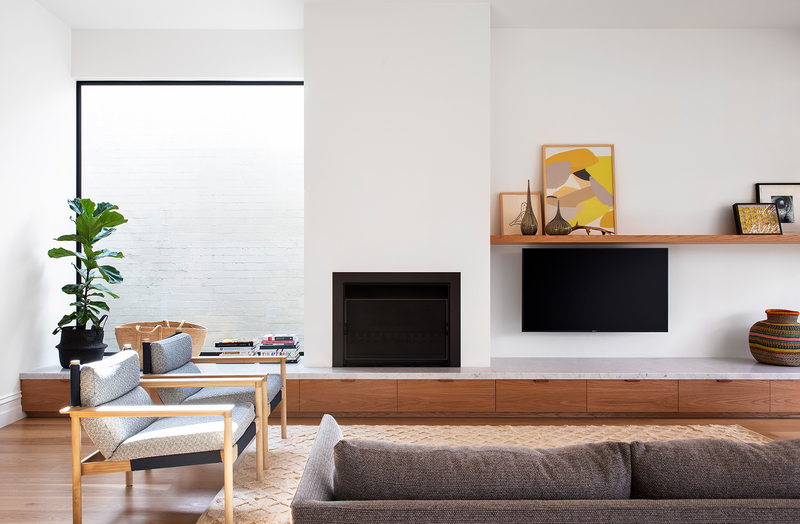 For this renovated Edwardian home in Melbourne’s inner-west, we worked with Studio MKN (their first project) to create seamless connectivity between the home’s expansive garden and its generous internal living space. 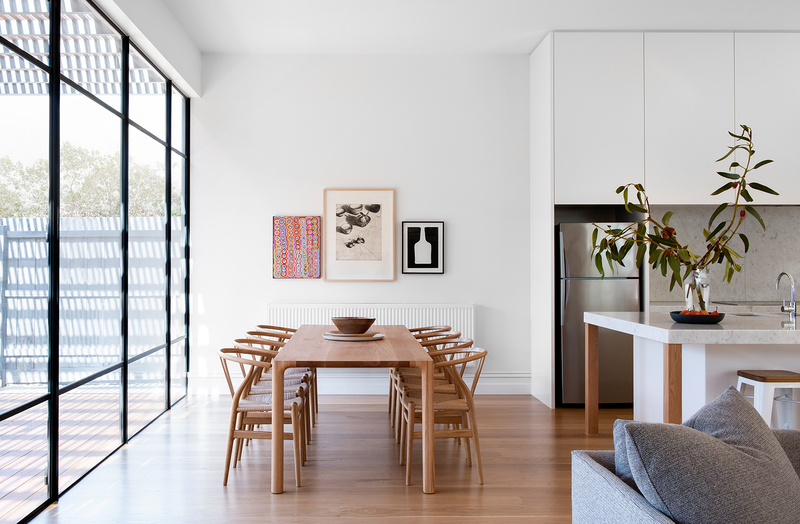 The solution: a full-width steel window, welcoming natural light onto a contemporary dining and kitchen space. 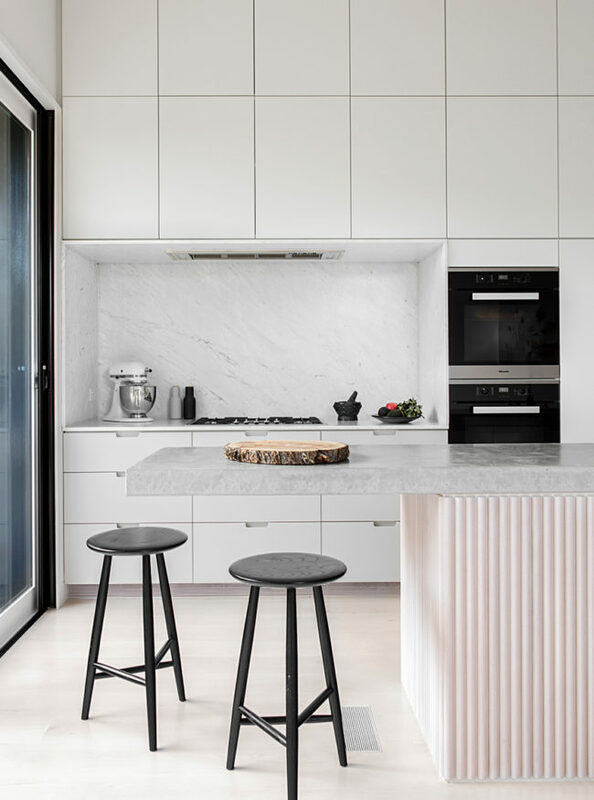 Functional and minimal, the kitchen features subtle 2-pac, veneer and Carrara marble cabinetry, which complements new, solid American Oak floors.